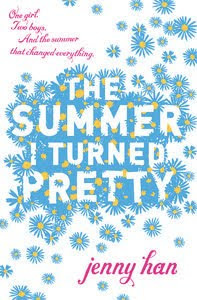 The Summer I Turned Pretty is a gorgeous novel about first love that occurs over the course of a summer. Every year, 15-year-old Isabel (known as Belly to almost everyone) goes to the beach house her mother's best friend, Susannah, owns. Susannah's eldest son, 18-year-old Conrad, is aloof and moody, and Belly's been in love with him since she was ten. Jeremiah, the youngest son at sixteen, is friendly and like a brother to Belly. Then there's Cam - a boy she meets at a party. After spending every summer her entire life left out of things - Conrad and Jeremiah always going places with her older brother Steven and leaving her out - Belly is finally a part of things, and the boys aren't looking at her like a little sister anymore. This was a lovely, quick read - I read it in an afternoon, and it was surprisingly funny and touching. The blurb I felt as if we got to know the character's around Belly more than we got to know Belly herself - and we hardly got to know Conrad at all. However, this is the first in a series, so I think there will be plenty of opportunity for further character development (hopefully!). The other characters, though, I loved - Jeremiah, Cam, Susannah... all great. Though I felt the novel was really wonderfully written - believable dialogue, interesting characters, a narrative that perfectly weaved between the current summer and summers past - the whole concept that 'she's gotten pretty and now the boys like her' turned me off. I would have loved to have had more of a sense of her having more of a connection with the boy she ended up with, like maybe shared interests, or values, or mutual respect. Obviously this isn't something that will bother everyone, and it was only something I thought about once I finished the novel - I was that caught up in the story while I was reading. 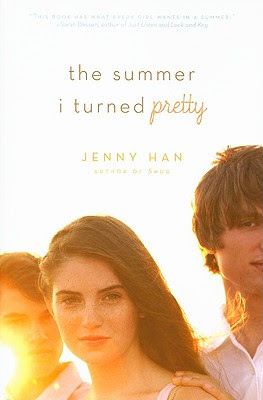 The Summer I Turned Pretty will appeal to those who love Sarah Dessen novels. I recommend it to all teenage girls who enjoy YA romance novels. It's the first in what promises to be a wonderful series. Q: Which of the covers of The Summer I Turned Pretty do you like best?